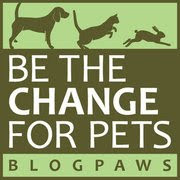 BlogPaws Wordless Wednesday Pet Blogger Hop: Happy Pets! Today's "theme" over at BlogPaws is "Show Us Happy Pets", as in... enter your happy pet photos in this month's Love Your Pets Instagram Photo Contest! But hurry—the deadline is end of day on September 13! Meanwhile, back at the Ohio ranch, I've always been a pretty happy guy—how about you? 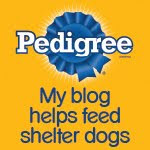 Now on to the BlogPaws Wordless Wednesday Pet Blogger Hop to catch up with all your blogging buddies! We are loving your fabulous smile, Bocci! I am pretty sure I have a photo of Tucker that looks exactly like that...down to the smile and the deck background! Love it! Awwww, I think I'm in love! I am a happy boy! And Susan, Tucker and I could be twins!